Photo by Phil Wilkinson info@philwilkinson.net 07740444373 Free first use - issued by NMS Image shows the artist Tim Pomeroy, the sculpture is called ‘Axehead’, holding the Greenlawden axehead, which was an inspiration to the Tim's sculpture. Details of exhibition below. 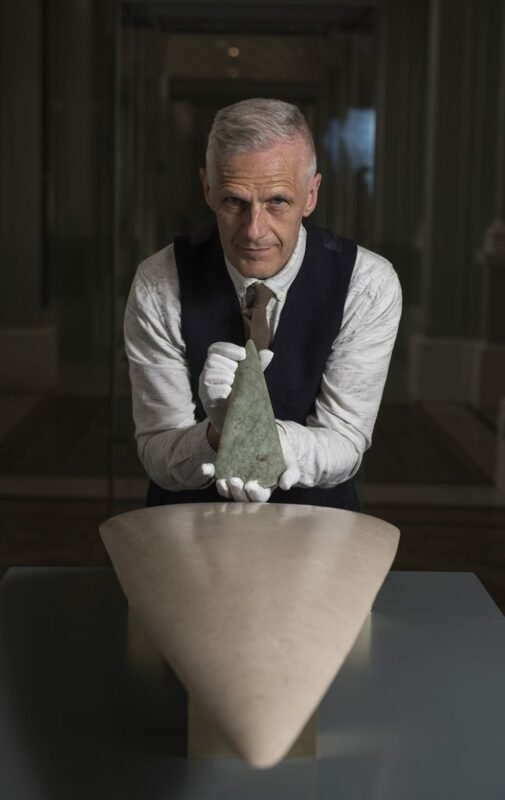 Stone Age Jade from the Alps Friday 20 May to 30 October 2016 National Museum of Scotland, Chambers Street, Edinburgh Admission: FREE A new display at the National Museum of Scotland will showcase National Museums Scotland’s rarely seen collection of Scottish Stone Age jade axeheads, alongside Tim Pomeroy’s contemporary sculpture, Axehead. Stone Age Jade from the Alps opens today, Friday 20 May 2016. These exquisite axeheads were created over 6,000 years ago, high in the Italian Alps, and were brought to Scotland by pioneering farming groups from northern France. Now, thanks to a French-led project involving National Museums Scotland – Projet Jade – the fascinating story of their creation, use and astonishing 1,500 km journey to Scotland has been revealed. These were not everyday tools for felling trees and chopping wood. They were very special, ceremonial objects. It is believed that Neolithic people associated mountains with the realm of the gods and they may have felt that these hard-won pieces of mountains possessed divine powers to protect and heal. Passing through many hands on their way across Europe and treasured for generations, each jade axehead tells its own unique story. 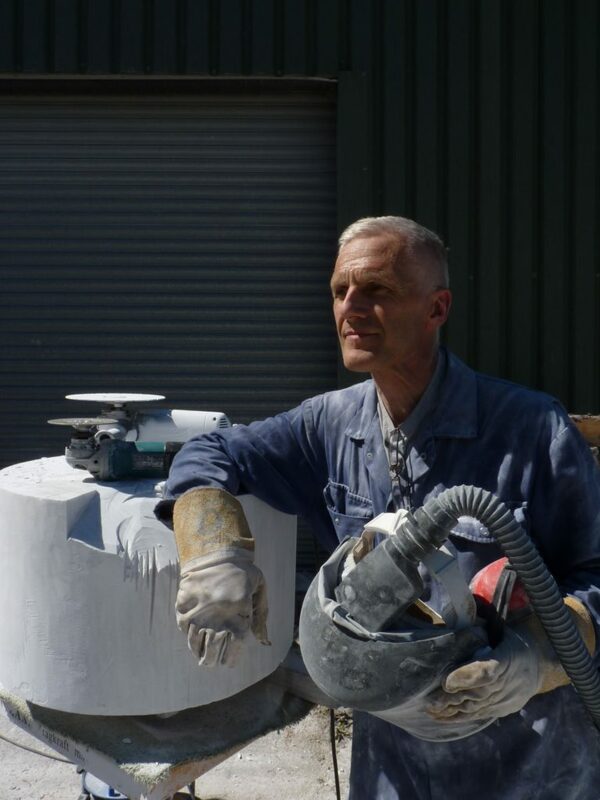 Axehead, a stone sculpture carved by Tim Pomeroy, was inspired by these remarkable archaeological finds and was designed to reflect their power, status and ceremonial or spiritual purpose. The artist was born in Hamilton in 1957 and has worked as a full time artist since graduating from Gray’s School of Art in 1981. 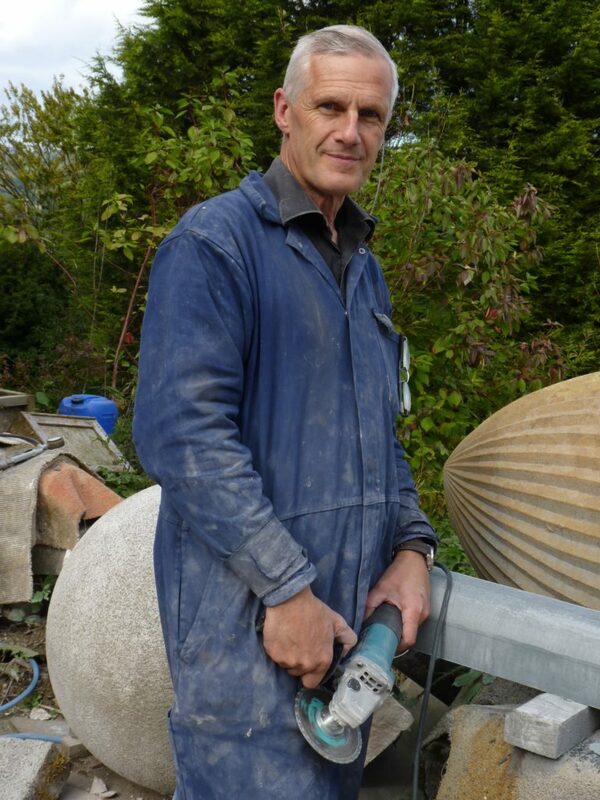 Now based on the Isle of Arran, he is renowned as one of Britain’s foremost stone carvers. Tim Pomeroy, said: “These Stone Age jade axeheads are works of both immense skill and of a highly developed, visual, manual and spiritual sophistication. As an artist I am inspired by these qualities. I have always been interested in notions of utility, the Sacred, and power and how these properties combine within the contexts of art and ritual.” Dr Alison Sheridan, Principal Curator of Early Prehistory in the Department of Scottish History and Archaeology, said: “We are delighted to have this opportunity to tell the stories behind these extraordinary jade axeheads for the first time. Tim Pomeroy’s exquisite sculpture will complement the display and highlight the ways in which these ancient and precious artefacts continue to inspire and fascinate us today.” Ends 19 May 2016 For further information and images please contact Kirsten Cowie, Press Office, National Museums Scotland, tel 0131 247 4391, k.cowie@nms.ac.uk. Website www.nms.ac.uk Notes to Editors 1. National Museums Scotland is one of the leading museum groups in the UK and Europe and it looks after collections of national and international importance. 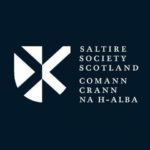 The organisation provides loans, partnerships, research and training in Scotland and internationally. Our individual museums are the National Museum of Scotland, the National Museum of Flight, the National Museum of Rural Life and the National War Museum. The National Museums Collection Centre in Edinburgh houses conservation and research facilities as well as collections not currently on display. 2. The National Museum of Scotland reopened in summer 2011 following a three-year, £50m redevelopment. With over 8 million visitors since reopening, the National Museum of Scotland is the most popular museum in the country outside of London (source: Association of Leading Visitor Attractions). The National Museum of Scotland was awarded ‘Gold’ Level Green Tourism Visitor Attraction status in 2016. 3. Projet Jade is an international, French-led research project, funded by the Agence nationale de la recherche, the French Government research funding agency, and directed by Dr Pierre Pétrequin under the aegis of the Université de Franche-Comté, Besançon. It investigates the use of Alpine jades (mostly jadeitites, eclogites and omphacitites) to make axeheads and other objects in Neolithic Europe, from around 5300 BC to around 3500 BC. It has found working sites high in the north Italian Alps and has mapped and dated the movement of products right across Europe. The results of the first part of the project were published in a major two-volume publication, Jade, in 2011. Dr Alison Sheridan is Projet Jade Co-Ordinator for Britain, Ireland, the Isle of Man and the Channel Islands. 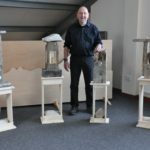 Arran-based stone carver and artist, Tim Pomeroy, has opened a one man exhibition at the Fine Art Society in Edinburgh. The exhibition which began last Friday and runs until Saturday December 22 showcases 25 works in traditional sculptural materials of stone, wood, slate, and marble which lend their name to the exhibition simply titled Marble Slate Wood. The forms, shapes and ideas are both contemporary and ancient. The Neolithic archaeological finds of Arran inspire Tim and they lend his work a mysterious and precious quality and hint at otherworldliness. Hosting his third exhibition, the first in 2014 and then in 2015 and 2017, the Fine Art Society in Dundas Street is one of the oldest and most respected galleries in the art world whose history dates back some 142 years. 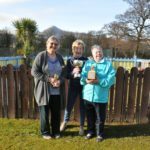 Speaking about the exhibition title the Lamlash sculptor said: ‘It represents the principle materials of what will be displayed . But of course that’s not the full story. What the work is about, intellectually, spiritually as it were … is a whole other question, a question that an exhibition like this invites the visitor to answer. Any other title for the exhibition, hinting at the nature of the work, sounded pompous or pretentious. Art poses many questions and often there is no definitive answer. It’s not like maths. Because art exists and draws on so many influences and references it’s multi-layered like any good art form, theatre, poetry, music. It defies the singular because it is so pluralistic in its nature’. Tim who was born in Hamilton, Scotland trained at the Gray’s School of Art from 1976 to 181 and his work can be found in both private and public collections. His work can be seen at the Whiting Bay Art Gallery and on his website at ww.timpomeroy.com or on the Fine Art Society gallery website at www.fasedinburgh.com, where further details of the exhibition can also be found.